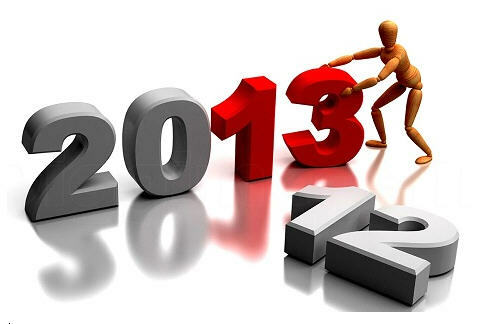 A happy, healthy, prosperous 2013 to one and all. Time management expert Laura Vanderkam has written such books as 168 Hours: You Have More Time Than You Think and What the Most Successful People Do Before Breakfast. Her latest offering is What the Most Successful People Do on the Weekend: A Short Guide to Making the Most of Your Days Off (Penguin, 2012). It’s a very quick read that might be helpful to some people who want to have a more fulfilling 2013. Admittedly, Vanderkam’s examples of “awesome” weekends sound like excursions into hell to me. Take weekend #1, with events alternating between evening and day: friends over for game night, family beach trip, family dinner at a restaurant near the beach that you’ve been meaning to try, church, leisurely walk around the neighborhood. Weekend #2 starts with karaoke at a bar with friends, not much of an improvement as far as I’m concerned. Somehow I doubt that I’ve read what the most successful people do on the weekend. Can you imagine Jamie Dimon at a karaoke bar? But weekends are important and many of us let them dribble away. Personally, I devote much of my weekend time to reading and writing. If I had all those “awesome” (I hope you are beginning to understand how much I hate the hijacking of this adjective) weekends, you’d not have the pleasure of reading this blog. Soon enough it will be time to make those yearly resolutions we never keep. I somehow doubt that this odd-sounding resolution will top most lists: “Become a structured procrastinator.” But John Perry, professor emeritus of philosophy at Stanford, explains in The Art of Procrastination (Workman, 2012) that structured procrastination will convert ordinary procrastinators into “effective human beings, respected and admired for all that they accomplish and the good use they make of time.” (p. 2) Still flawed, but productive. Don’t think that Perry has strayed into snake-oil, self-help land, that he has written the kind of pretentious text that would make him a sought-after speaker at corporate retreats. No, this little book is an utterly delightful extended essay (the text is a mere 92 pages). Perry not only endorses the common wisdom of breaking tasks down into small increments (the Kaizen way) but recommends practicing “defensive to-do list making.” That is, think about “how your day could get derailed in the early stages and put in safeguards to circumvent that.” Perry gives an example, and let me quote it at length because it’s not only humorous, it’s so me. Now isn’t that uplifting! Yes, I think I will resolve to be a structured procrastinator in 2013. But, don’t fret, I’ll still write reviews in a timely fashion. There are always other less pleasant things ahead of reading and writing on my to-do lists. This is a photo of a window display in the Moravian Book Store, Bethlehem, PA. Let's hope the books don't topple if we go over the fiscal cliff. Thomas N. Bulkowski is an inveterate tester. So even though this book is entitled Trading Basics, it is by no means a run-of-the-mill introduction. It analyzes money management, investigates whether stops really work, looks at support and resistance, and shares 45 tips every trader should know. It is the first of a three-book series, Evolution of a Trader, to be published by Wiley. The second volume will be Fundamental Analysis and Position Trading; the third, Swing and Day Trading. Although I’m sure readers will dispute some of Bulkowski’s findings as well as some of the studies he cites, the fact is that he has actually crunched the numbers. He does not rely on anecdotal evidence. For example, he used a battery of tests to show that scaling out of positions bought at the start of the month and held until either the end of the month or when sold by scaling out or being stopped out (scaling out at two times a 21-day average of the high-low price change and moving the stop to breakeven after scaling out, with the stop trailed upward 10% below the highest high) reduces profits. I’ve conflated a series of Bulkowski tests here and in consequence made them only marginally intelligible, but the results stand. Although scaling out handily beats buy and hold by a margin of 10 to 1, it leaves money on the table if price is rising and incurs larger losses if price is dropping. What about stops? Do they work? Bulkowski devotes a twenty-page chapter to this question and considers an assortment of stops. The answer, he concludes, is complicated. Traders “have to be selective in how they use stops” because “being stopped out means profits get whacked in half and yet the risk of loss does not diminish much.” (p. 61) That seemingly counterintuitive conclusion should inspire traders to study Bulkowski’s tests in order to figure out a way to improve their reward/risk ratio by using the right kinds of stops (and sometimes no hard stops at all) intelligently. Although mantras are challenged throughout, Trading Basics is not a downbeat “what doesn’t work” book. On the contrary, Bulkowski offers a plethora of ideas for successful trading such as the inverted dead-cat bounce. As one might expect given the author’s previous works (one reviewed only last week), most of the ideas are pattern-based. If you’re a pattern trader, you’ll be in your element. But even if you’re not, this book has a host of challenging theses that just might lead you to rethink how to make money trading and perhaps even to devise a few tests of your own. Way back when, John J. Murphy was the voice of technical analysis. With his pioneering 1991 book, Intermarket Technical Analysis, he added a new dimension to his earlier work. Fast forward. We have new trading products available (ETFs, not merely futures), a new economic environment, and relatively inexpensive color printing. Hence Trading with Intermarket Analysis: A Visual Approach to Beating the Financial Markets Using Exchange-Traded Funds (Wiley, 2013). The book is awash with color: color charts, of course; color heads for “John’s Tips”; color definitions; color “Did You Know?” tidbits. The text’s typeface is elegant but designed for those with perfect vision; it’s about a point size too small for easy reading. Admittedly, with so many charts it would have been tough to keep text and charts in sync if the type size were larger. Taking a quasi-historical approach to the subject, Murphy divides the book into four parts: the old normal, the 2000 and 2007 tops, the business cycle and ETFs, and the new normal. At every turn he illustrates intermarket relationships with comparative StockCharts, many with their correlation coefficient indicator added. Trying to use intermarket relationships to drive profitable trading is a very tricky undertaking, but Murphy’s book is an excellent place to start. In general, the Bloomberg visual guides are a conceptual stretch, but Thomas N. Bulkowski’s Visual Guide to Chart Patterns (Wiley/Bloomberg, 2013) is an obvious exception. Charts are by definition visual. Bulkowski’s books on chart patterns and their statistical characteristics are classics. So why yet another book? First, the Bloomberg visual guides are in color. Second, Bulkowski has updated his statistics through 2011, so we can see how trading off of chart patterns might have performed over a more extended period of time. Bulkowski deals with the standard fare of charting: minor highs and lows, trendlines, support and resistance, gaps, throwbacks and pullbacks, pattern identification, rectangles, ascending triangles, descending triangles, symmetrical triangles, flags and pennants, double bottoms, triple bottoms, double tops, triple tops, head-and-shoulders bottoms, head-and-shoulders tops, basic buy setups, failures, the throwback buy setup, measuring flags and pennants, busted pattern buy setups, trading setups and tips, chart pattern sell signals, busted pattern sell signals, triangle apex sell signal, trendline sell signals, swing rule, and—finally—a tale of two trades. But Bulkowski writes in a light-hearted, often humorous way that should prevent even the least engaged reader’s eyes from glazing over. The book also includes exercises and tests to keep the reader on track. If you’re an accomplished chartist, you don’t need this book (unless a little levity would cheer you up). But if you’re new or relatively new to the game, it’s a perfect introduction. Francis James Chan’s The Prop Trader’s Chronicles: Short-Term Proprietary Trading Strategies for Both Bull and Bear Markets (Wiley, 2013) is a strange little book. It is in part a memoir that, quite frankly, isn’t very interesting and that often is not even tangential to trading. Do we really care about the dinner table fights of his ex-fiancée’s family? Fortunately, in larger part it is an account of Chan’s experiences as a novice day trader with what was then a Toronto-based prop firm, Swift Trade Securities. There he learned to throw away charts and abandon technical analysis. Swift taught and practiced the art of reading the tape and depth of market. The firm also stressed how to route trades to capture the most advantageous fee structure. Since Swift’s forte was high-volume scalping of NYSE stocks for pennies, risk management was critical. Trainees were expected to limit their losses to around two cents a share—at least on a stock like GE (then about $40), which Chan was trading. Although Chan describes some of the basics of Swift’s program and tries to illustrate the trading process, I suspect that it is the rare reader who would come away with a viable way to emulate a non-automated, high-frequency, high-volume stock scalping game plan. Especially if the reader is a lone wolf, not part of a prop firm. For those who are thinking about hooking up with a prop shop or who are interested in tape reading, The Prop Trader’s Chronicles should probably be a core library holding. For other traders it’s a peripheral book but nonetheless worthy of a couple of hours of reading time. Black et al., Advanced Core Topics in Alternative Investments, 2d ed. The Chartered Alternative Investment Analyst (CAIA) Association offers a two-tiered exam process (Levels I and II) through which a candidate can earn the CAIA Charter. The Charter is designed for individuals specializing in institutional quality alternative investments. Earlier I reviewed the Level I text. It’s now time to look at CAIA Level II: Advanced Core Topics in Alternative Investments, 2d ed., edited by Keith H. Black, Donald R. Chambers, and Hossein Kazemi (Wiley, 2012). This book is yet another educational triumph and a worthwhile read not only for those in search of certification but for every investor who wants to expand his horizons and be intellectually challenged in the process. It’s divided into five parts: asset allocation and portfolio management, private equity, real assets, commodities, and hedge funds and managed futures. I spent some time deciding what to choose to write about in this post. It was a tough decision. After all, the book is some 700 pages long and covers a host of important topics. I debated whether to focus on farmland and timber investments—or perhaps investing in intellectual property. Then I thought I’d write about convertible arbitrage, a strategy that represents less than 3% of the assets managed by hedge funds and that is not available to the retail investor but nonetheless remains a strategy that options traders should understand. That choice, however, was fatally flawed because there was no way I could condense the chapter into a reasonable blog length. Then there were the geekier topics, such as unsmoothing appraisal-based real estate returns, which I’d be hard pressed to write about with any degree of confidence. I hope you’re beginning to see the richness of this book, and my dilemma. So here are just a couple of snippets, chosen almost at random. First, art as an investment asset. Odds are that this is out of your league (at least really high-end art), but don’t feel depressed. You’re not missing out on high returns, and you may be avoiding high volatility. In the U.S. the return for high-quality art between 1980 and 2007 was 4.85%, the volatility 20.95%; for medium-quality art 3.78% and 14.49%; and for low-quality art 3.25% and 11.13%. So unless you’re trying to impress your friends, you’re a true aesthete, or you’re a Russian oligarch trying to stash some of your wealth abroad, there’s no compelling reason to invest in art. CAIA Level II is an excellent text and reference work for anyone interested in alternative investments either in and of themselves or as part of a diversified portfolio. And, of course, it’s essential for those aspiring for certification. The primary themes of the book are volatility, skew, time decay, and the bid/ask spread. The strategies analyzed are covered calls and their synthetic equivalent selling puts, calendar spreads, risk reversal, and vertical spreads. In this post I’m going to focus on a single chapter—vertical spreads—to illustrate how Nations brings the threads of his book together. I’m offering mere snippets out of context. If the excerpts I quote are not intelligible, it’s not the author’s fault (Nations is a clear writer) but the result of my overly aggressive scissors. Nations uses vertical spreads to get bearish exposure to the underlying. Why bearish? Because skew works against bullish vertical spreads. As examples, he takes a 180/200 put debit spread and a 210/230 call credit spread. “In both the put spread bought and the call spread sold, skew generated a net benefit. There would certainly be other phenomena that would be helping or hurting these trades. The volatility risk premium would be helping the call spread since our trader would likely be selling the 210 strike call for more than it was worth, and that benefit would probably overwhelm the damage that the volatility risk premium would do to the profitability of the 230 strike call option bought. Time decay would also likely help the profitability of the call spread, since the daily erosion received from the call our trader is short (the 210 strike call) is going to be greater than the daily erosion paid on the option our trader is long (the 230 strike call).” (p. 219) By contrast, the profitability of the put spread will likely be hurt by the volatility risk premium and time decay. If these excerpts whet your appetite, I can heartily recommend Options Math for Traders. No, it doesn’t cover straddles and strangles and wing spreads. But once you understand calls and puts and vertical spreads, you’re a long way toward grasping these other strategies. Moreover, Nations does a very good job with calendars, which I personally consider one of the toughest option spreads to trade well. It’s an “in the trenches” book and as such could be of great help to the intermediate options trader. Although Kara Newman’s The Secret Financial Life of Food: From Commodities Markets to Supermarkets (Columbia University Press, 2013) has an enticing title, it doesn’t divulge any secrets. Instead, it is a rather jagged history of U.S. agricultural futures markets. Each chapter focuses on a particular commodity or group of commodities: corn; grains; butter and eggs; coffee, sugar, and cocoa; cattle; pork bellies; produce such as apples, onions, potatoes, tomatoes, and orange juice; and soybeans. At the end of each chapter is a brief section entitled “What Trades Now” with a snapshot of the commodity’s use, what exchange it trades on, and its contract size. Those who are interested in the history of the “food” commodity markets will find many treats in Newman’s book. It is not a definitive history, but it’s worth a read nonetheless. In The Spirit of Kaizen: Creating Lasting Excellence One Small Step at a Time (McGraw-Hill, 2013) Robert Maurer, a psychologist on the faculty of the UCLA and University of Washington Schools of Medicine, explores the many ways in which kaizen can help organizations make changes with minimal disruption and help people improve both their work and their personal lives. Lately there’s been a great deal of focus on little things—“little bets” come immediately to mind. I for one am a believer. Making little bets can potentially reap big rewards with minimal risk; taking little steps can bring about significant change with minimal stress. Javier H. Paz, the founder of ForexDataSource.com, has written an introduction to the forex market for the retail trader. The Forex Trading Manual: The Rules-Based Approach to Making Money Trading Currencies (McGraw-Hill, 2013) takes the reader from the most rudimentary forex concepts to basic risk management principles, from technical and fundamental analysis to mental conditioning, from a trading strategy to a trading plan. In brief, it is a comprehensive primer. Is it a good primer? On balance, yes, although it paints too rosy a picture of the predictability of trading revenues. Trading simply doesn’t give you the same size paycheck week in and week out. Telling a novice that he can become quite wealthy by simply averaging 20 pips a day, showing a table where averaging only 50 pips a week with a 1% account risk returns 22% in twelve weeks and a table with the same weekly average with a 2% account risk that turns $5,000 into $132,744 in two years sets him up for unrealistic expectations. Paz introduces the reader to a trading strategy that he created out of some very familiar parts, the VT (for VaraTrade) Pivot Roadmap. He uses floor pivot support lines (S1, S2, S3), pivot resistance lines (R1, R2, R3) and six pivot midpoint lines. He then overlays his charts with volatility bands showing how high and how low the currency pair (in his sample case, EURUSD) could go at a specific time of day and white space in between for normal volatility. (This indicator is available for a six-month free trial to those who buy the book.) Armed with these charts, the reader is then given some basic rules for trading the strategy successfully. This strategy, by the way, is based on the start of the trading day at GMT 00:00 and, according to the author, works well in the normally low volatility Asian session. Paz looked at seven years’ worth of daily prices (2003-2010) and found, among other things, that EURUSD will cross the pivot line 80% of the time and that price will stay below the pivot point 10% of the time and above it 10% of the time. And, driving his 20 pips a day goal, the average pip distance between the price at the start of trading and the new pivot line is 21 pips. The Forex Trading Manual offers the beginning trader a lot of useful information as well as a reasonable plan of action for trading in a paper account. The novice can’t ask for much more. Will the U.S. dollar maintain its status as the world’s reserve currency? Will the euro or the IMF’s SDR become viable alternatives? How will China’s policies affect global currency balances? Will gold continue to reassert itself as more of a currency than a commodity? The nine authors whose original essays are collected in Currencies after the Crash: The Uncertain Future of the Global Paper-Based Currency System, edited with commentary by Sara Eisen of Bloomberg TV (McGraw-Hill, 2013), tackle these and many other topics that every investor should understand. Not only is forex the largest exchange market, with an average daily trading volume of $3.98 trillion in 2010, but currencies are a key component of most corporate earnings. The contributors to this volume—Jörg Asmussen, Peter Boockvar, Megan Greene, Stephen L. Jen, Robert Johnson, Papa N’Diaye, James Rickards, Gary Shilling, Anoop Singh, and John Taylor—do not all belong to the same economic choir and hence do not speak with one voice. What they have in common is clear thinking and a respect for macroeconomic data. Their writing styles range from breezy to scholarly, but never turgid. In this review I’ve pursued a single theme, though a dominant one. But Currencies after the Crash offers the reader so much more—for example, an explanation of the Triffin dilemma, an analysis of China’s efforts to rebalance growth, speculation about the future of the eurozone (in the words of one author, “an amicable divorce is better than an unhappy marriage”), even a call for Americans to “rediscover their hard Calvinist core.” Lots of fodder here for the investor. In my post of October 17 on The Logician and the Engineer, in which I described how George Boole and Claude Shannon came to be such remarkable thinkers, I mentioned Robert Greene’s Mastery (Viking, 2012). Even though Mastery won’t officially be published until November 22 (I read pre-publication digital galleys) and I normally wait for a book’s release date before reviewing it, Amazon already has a dozen reader reviews. So I will join them in jumping the gun. The book mixes mini-biographies of “masters” (a few of whom are not household names) with how-to advice for the not so masterful, which begins with an exhortation to “discover your calling.” It’s impossible to be a master of anything if it doesn’t fit your talents and personality and if you’re not passionately immersed in it. The first stage, Greene argues, in acquiring mastery is apprenticeship under the tutelage of a mentor where “your goal is always to surpass your mentors in mastery and brilliance.” Social intelligence makes everything go more smoothly, especially as you become more creative-active (the second level). Finally, in mastery, you fuse the intuitive with the rational. Okay, so you’ve probably read this sort of thing before. If you haven’t, Greene’s book is a great place to start. But even if you have, Greene’s inspirational bios are worth a read, and some of his advice may actually prove useful on the road to mastery. Greene offers four examples of the most common shorthands, with tips on how to subvert them. First, “looking at the ‘what’ instead of the ‘how’,” or (very roughly) thinking in terms of nouns rather than verbs. Greene argues that we should pay greater attention to the relationships among things, to structure, rather than to things in isolation. He might have added that we should focus more on process than on a time slice. Second, “rushing to generalities and ignoring details.” Wrong. “Immersing yourself in details will combat the generalizing tendencies of the brain and bring you closer to reality,” as long as you don’t become lost in the details. Your mission, should you choose to accept it, is to subvert at least one of your less than stellar investing or trading shorthands. I’m sure you’re creative enough to figure out something constructive. Del Vecchio and Jacobs, What’s Behind the Numbers? I read What’s Behind the Numbers: A Guide to Exposing Financial Chicanery and Avoiding Huge Losses in Your Portfolio (McGraw-Hill, 2013) by John Del Vecchio and Tom Jacobs on a power-less Thursday and Friday post-Sandy. But I can assure you that, even I had been able to get back to my computer and had worked assiduously all weekend, I still wouldn’t have been able, as the authors suggest, to use their book (profitably) on Monday morning. Their long-short portfolio is tough to construct. It’s not for the instant gratification crowd. In analyzing earnings quality the investor should be on the lookout for aggressive revenue recognition, aggressive inventory management, assorted unsustainable boosts to earnings, and cash flow warnings. Each of these red flags gets its own chapter, with telling examples. Let’s say you have done a lot of careful research and have built up your short portfolio. The next challenge is to find a long strategy to complement it. The book’s recommendation is to seek out sound small cap value stocks. The authors’ actual portfolio results are impressive, at least for the years 2007-2009. Whereas the S&P 500 lost 17.6% over that time (including dividends), a 100% long/30% short portfolio would have returned 6.4%, a 120% long/80% short portfolio would have done the best at 65.9%, and a 50% long/50% short portfolio would have gained 43.7%. The authors also address the controversial topic of market timing and add a dash of technical analysis to their fundamental mix. The Stock Trader’s Almanac named What’s Behind the Numbers? the best investment book of the year (although claiming that it’s the best investment book of 2013 is a tad premature). The book is very good indeed. It steers the investor in the right direction by emphasizing risk management, and it introduces him to a basic hedge fund strategy with a twist. The writing style is sometimes a little too cute for my taste, but admittedly I can be schoolmarmish; I assume most readers will enjoy its lightheartedness. Jack D. Schwager, author of the Market Wizards series, has done the investor an invaluable service by writing Market Sense and Nonsense: How the Markets Really Work (and How They Don’t) (Wiley, 2013). Everybody, and I mean everybody, who has an investment portfolio will profit from reading this book. Never again, for instance, will the investor conflate risk with volatility. Never again will she assume that leverage always increases risk. Never again will she chase high-performing funds. Never again will she disregard the benefits of rebalancing. And she might even consider alternative investments, described in the second part of the book: hedge funds and managed accounts. Schwager shines brightest, in my opinion, when he parses the distinctions between risk and volatility—and as sub-themes discusses such concepts as VaR and the Sharpe ratio. He dispels two investment misconceptions right out of the gate: that high volatility implies high risk and low volatility implies low risk. “Although it is usually true that high volatility will imply high risk, this assumption will be false for strategies where downside risk is contained and high volatility is due to sporadic large gains.” Think, for instance, of a strategy that buys out-of-the-money options. And “low volatility implies low risk only if the past can be assumed to be a reasonable approximation of the future—an assumption that is frequently unwarranted.” (p. 108) A fund that sells out-of-the-money calls and puts might have experienced very low volatility in a calm market only to be battered if the market moves sharply in either direction. If these claims are not intuitively obvious to you, you owe it to yourself to read Market Sense and Nonsense. The book is written in clear prose with abundant examples so that even a reader with absolutely no statistical background will understand Schwager’s points. And my hunch is that it will shake up a lot of beliefs that even the sophisticated investor and fund manager mistakenly hold. All in all, kudos to the author for offering the investing world an uncommonly worthwhile book. Another interesting post from Barking Up The Wrong Tree. Michael J. Mauboussin is always worth reading. Those who are unfamiliar with his pieces for Legg Mason may remember him for his highly acclaimed book More Than You Know: Finding Financial Wisdom in Unconventional Places. He’s back with his third book, which has its roots in a 42-page essay from 2010. The Success Equation: Untangling Skill and Luck in Business, Sports, and Investing (Harvard Business Review Press) is yet another good read. The premise is straightforward: if we are to make sound decisions, we have to understand the relative roles that skill and luck play. Sometimes these roles are obvious. If I buy a lottery ticket, anything that comes my way is the result of pure luck. If I take on Tom Brady in a football passing contest, I am guaranteed to lose in a most humiliating way because of the gargantuan gap in skill. But most of the time both skill and luck contribute to a given outcome. If we don’t recognize this, and if we don’t understand the properties of skill and luck, we can fall for outsized claims (“the best trading system ever, 200 wins in a row”) or delude ourselves into thinking that simply by practicing more deliberately we can join the pantheon of legendary traders and fund managers. Mauboussin covers a lot of ground in The Success Equation. For instance, he explains what reversion to the mean is and isn’t (it does not imply that results will cluster closer to the average). And he writes about the arc of skill, obvious in aging athletes but also a problem for the aging investor; the peak age for investing skill is 42. I’m sure that almost everyone will find something in this book that either he hadn’t thought about before, or that he thought about incorrectly. By now you’ve undoubtedly heard that Greg Smith’s Why I Left Goldman Sachs: A Wall Street Story (Grand Central Publishing, 2012) has little to add to, or even to support, the charges he leveled against the firm in his New York Times op-ed piece. Those looking for evidence that Goldman really is, in Matt Taibbi’s phrase, a great vampire squid, will have to turn elsewhere. It’s hard to fathom how the author levered his op-ed into an alleged $1.5 million advance except perhaps to suggest that he really did learn how to rip people off at Goldman. As long as I’m being snarky, I might as well point out Smith’s fixation with status and salary. He regularly compares himself to others who advanced through the ranks more quickly than he did. And, although he was initially euphoric over his salary, he begins to feel shortchanged. In the London office, making less than $500,000, he was miffed; he asked for (and not surprisingly did not get) a $1 million bonus. Smith, who was an intern in the summer of 2000 and became a full-time employee in 2001, essentially divides Goldman into the pre- and post-financial crisis eras. Pre-financial crisis the firm had the highest ethical standards; the client always came first. Post-financial crisis, with former trader Lloyd Blankfein at the helm, the firm lost its moral compass in the search for profits. Such a stark contrast is undoubtedly unwarranted. We mustn’t forget that Smith himself was transitioning from a wide-eyed newbie to a somewhat jaded employee who was not convinced the firm appreciated him sufficiently. When Smith isn’t being polemical or self-serving, however, he tells a compelling coming-of-age-on-Wall-Street story. He learned what to wear on the trading floor (Brooks Brothers khaki dress pants and dress shirts in different shades of blue) and to how to hang onto clients, even if it meant intentionally losing at ping pong. It was pounded into him that he had to admit and rectify any trading mistake quickly (as he proudly announces, he made only one, which cost Goldman all of $80), and I guess it was a matter of personal judgment just how smashed he could get with clients. The eager-to-please junior trader is a much more sympathetic character than the vice president who balked when offered the London job. He? London? I don’t know what he expected. Getting sent abroad is often part and parcel of moving up at Goldman. I used to socialize on weekends with a Goldman partner who had earlier logged several years in Hong Kong and London. It was part of the drill. I’m glad I read this book—if for nothing else than the descriptions of trading floor action. But Goldman lawyers won’t have to stay up late worrying about the potential fallout from Why I Left Goldman Sachs. And I suspect that much more public relations damage was done with the op-ed piece than will be done with this book. The most recent addition to the Robert W. Kolb Series in Finance—Socially Responsible Finance and Investing: Financial Institutions, Corporations, Investors, and Activists, edited by H. Kent Baker and John R. Nofsinger (Wiley, 2012)—follows the series’ familiar format, drawing on the expertise of academics and practitioners from around the world to survey and synthesize vast quantities of research. Its twenty-four chapters, spanning about 500 pages, cover such general topics as finance and society, corporate engagement, and socially responsible investing. Let’s start with the least socially responsible question: how do socially responsible investing mutual funds stack up against conventional mutual funds? Well, what answer would you like to have? “Several studies report little evidence of a difference in risk-adjusted returns between ethical and conventional funds. However, other studies find that SRI funds can be a valuable source of portfolio risk reduction, even for investors who are not driven by social values. On the other hand, some researchers report a statistically significant cost associated with socially responsible mutual fund investing.” (p. 439) Select your methodology and time period and get your favorite answer. One of the chapters that particularly appealed to me was “International and Cultural Views” by Astrid Juliane Salzmann (RWTH Aachen University). A couple of takeaways from this study. First, she looks at the law and finance theory, which is based on the differences between British common law and French civil law. “The British common law developed to protect owners of private property against the crown, whereas the French civil law evolved to strengthen state power against a corrupt judiciary. The resultant emphasis of private property rights by the common law tradition supports financial development, and countries that have adopted the common law system generally exhibit better developed financial markets than countries with a civil law tradition.” (pp. 89-90) Common law countries also seem to foster developments in socially responsible finance and investing. The economic consequences of religion are far from settled. Scholars can’t even document a strong link between religiousness and ethical behavior. For instance, according to studies, atheists are the least likely to engage in insider trading, agnostics the most likely (a rather bizarre finding that almost seems as if it came from a sample of nine traders), and religious commitment appears to be negatively associated with environmentalism. Protestant and Buddhist countries report above-average ethical behavior; Hindu, Orthodox, and Muslim countries exhibit less interest in ethical issues. Socially Responsible Finance and Investing covers a wide range of topics, from (one of my favorite subheads) “A Palsy in the Invisible Hand: Distorted Consumer Finance Markets” and the use and misuse of financial secrecy in global banking to corporate philanthropy and institutional investor activism, from managerial compensation and social entrepreneurship to green real estate and trust issues in business. It’s not one of those books you read curled up in front of the fire, but it’s a very useful resource for anyone interested in the growing field of socially responsible finance and investing. I think there’s a bit of the vulture in most of us—at least in those who want to buy low and sell high rather than buy high and sell higher. But few of us have either the skills or the chops to rummage through failing or bankrupt companies looking for opportunities. George Schultze is a notable exception. In The Art of Vulture Investing: Adventures in Distressed Securities Management (Wiley, 2012) he shares his investing experiences over the past eighteen years. Written with the able assistance of Janet Lewis, this book describes what transpires in an often overlooked but nonetheless critical part of the financial world. In an early chapter entitled “Learning to Scavenge” Schultze lays out some of skills necessary to becoming a successful vulture. The most important skill is to know how to use leverage, not leverage in the usual financial sense but the leverage of Archimedes: “Give me a lever long enough and a fulcrum on which to place it, and I shall move the world.” The vulture investor must learn to target “what we call the fulcrum security of any failing company in which you are considering an investment. Technically, the fulcrum security is the one most likely to receive equity in the reorganized company after it goes through a Chapter 11 bankruptcy or another type of reorganization.” (pp. 17-18) This fulcrum security is normally a company’s senior secured bonds. Vultures don’t always wait for an animal to die to swoop in; sometimes they kill the wounded or sick. Similarly, vulture investors can also be short sellers of stock or deeply subordinated bonds of companies that are on the skids (preferably not so obviously sick that their condition is common knowledge) but that have not yet filed for bankruptcy. Vulture investing is naturally a lot more complicated than shorting dying companies on the way down and buying a fulcrum security either roughly at the bottom or on the way up, even though both of these activities are difficult enough in and of themselves. Schultze takes the reader through a series of case studies that graphically illustrate some of the complexities. Navigating the often byzantine capital structures of ailing companies, for instance, can be a challenge. Trying to put a price tag on tort liabilities, especially long-tailed legal liabilities, is always tough. And maintaining an active involvement while a company is being restructured or after it is reorganized requires a lot of time and attention. By and large, vulture investing is not a DIY project for the retail investor. But that’s no reason for the retail investor not to read this book. It’s a fascinating account—in fact, so intriguing that I decided that in my next incarnation I wouldn’t mind being a vulture (investor, not bird, thank you very much). Passarelli, Trading Option Greeks, 2d ed. If you want to trade options, you have to know the greeks. You may not use them as primary inputs in your everyday trading, but if you don’t have a handle on them there will come a time that you’ll suffer mightily. In this second edition of Trading Option Greeks: How Time, Volatility, and Other Pricing Factors Drive Profits (Bloomberg/Wiley, 2012) Dan Passarelli offers what one might describe, co-opting (and abusing) option language, as a preemptive strike. He first explains the basics of the greeks and how they interact, then moves on to spreads (vertical, wing, and calendar and diagonal), volatility (especially in the context of delta-neutral trading), and advanced option trading (straddles and strangles, ratio spreads and complex spreads). For retail traders, at least for those without large portfolios, the first two parts of the book (the basics and spreads) will probably be the most valuable, although the third and fourth parts are must reads for everyone. Or how do the greeks come into play with the single-legged trades—buying or selling calls or puts? Here Passarelli illustrates the impact of the greeks with multiple trade examples. Some of his fictional traders are faced with specific problems such as how far the stock price can advance before the calls are at 1.10. Or what is the likelihood of an option’s gaining value from delta against the risk of theta erosion if one holds the trade for 35 days? The rank novice will probably find this book overwhelming. But anyone with even a couple of months of exposure to options will find it enlightening. Every option trader who doesn’t have the greeks down cold would do themselves a favor by reading Passarelli’s book. Commodities are clearly seasonal. Almost like clockwork there are corn harvests, winter heating demands, and holiday gold buying. Not every year is the same, of course. A drought can ravage the corn crop as it did this year, winters can be unseasonably warm or cold, and the general state of the economy can affect how much gold jewelry ends up under the Christmas tree. Now in its seventh edition, the Commodity Trader’s Almanac (Wiley, 2012), compiled by Jeffrey A. Hirsch and John L. Person, is designed “for active traders of futures, forex, stocks, options, and ETFs.” It follows the general format of its older sister, the Stock Trader’s Almanac, with the first section devoted to the almanac proper and the second to trade strategies and detailed data on the twenty markets covered. These markets are the S&P 500, 30-year Treasury bonds, crude oil, natural gas, heating oil (a newcomer this year), copper, gold, silver, corn, soybeans, CBOT wheat, cocoa, coffee, sugar, live cattle, lean hogs, British pound, euro, Swiss franc, and Japanese yen. On a two-page table the authors describe the seasonal trades that are the backbone of the almanac. They are the top percentage plays over the life of the traded commodity. For instance, short heating oil on the second trading day of January and hold for 30 trading days. This trade has a success rate of 69.7%, with 23 gains and 10 losses, and a total gain of $34,184, with a best gain of $17,686 and a worst loss of $11,155. If you’re looking for a desk calendar with a lot more meat to it than, say, The New Yorker’s cartoon-laden desk diary, the Commodity Trader’s Almanac would be an ideal choice. It is chock full of data and might even make you some money. Talk about simple. Investing doesn’t get much simpler than The Permanent Portfolio: Harry Browne’s Long-Term Investment Strategy (Wiley, 2012). Craig Rowland and J. M. Lawson explain how to implement the 25%-25%-25%-25% (stocks, bonds, cash, gold) asset allocation strategy that Harry Browne recommended in his 1987 book Why the Best Laid Investment Plans Usually Go Wrong. The Permanent Portfolio is a steady Eddie performer. Starting in 1972 after the gold standard ended and then looking at annualized real returns by decade (ending in 2009), the Permanent Portfolio returned +5.7%, +4.7%, +4.3%, and +4.2% with less volatility than competing portfolios. A 75/25 portfolio returned -2.3%, +10.5%, +12.4%, and -1.2%; a 50/50 portfolio -2.1%, +9.1%, +9.8%, and +0.6%; and a 25/75 portfolio -2.0%, +7.6%, +7.2%, and +2.2%. 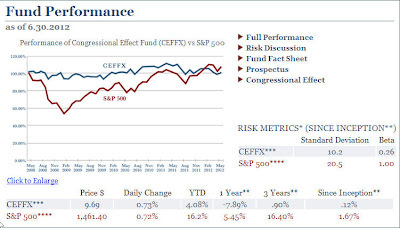 Although there is a Permanent Portfolio mutual fund (with a different allocation: 20% gold, 5% silver, 10% short-term Swiss government debt, 15% real estate and natural resource stocks, 15% aggressive growth stocks, and 35% U.S. Treasury bills and bonds) and a new Permanent ETF, the authors suggest that investors, unless they want convenience, can get better diversification geographically and institutionally on their own. It is somewhat amazing that the authors can fill over 300 pages writing about Browne’s 25-25-25-25 asset allocation strategy, but they manage—and in a way that investors searching for a way to grow their wealth can learn from. For instance, Rowland and Lawson explain rebalancing bands, tax considerations, and buying and storing gold (yes, they suggest holding at least some physical gold and storing part of it locally for emergencies and the rest abroad if you are able). Browne’s strategy won’t appeal to those who are convinced they can outsmart the markets. It may not even be the best passive asset allocation plan. But it’s certainly better than investing on a wing and a prayer. In the second part of the book Little moves on to the task of formulating a trading plan and finding the highest probability trade set-ups. So how does a trader identify high probability set-ups? First of all, there are only two basic trade types—breakouts and retraces. But there are seven possible and related scenarios for these set-ups, which I can’t possibly describe in a brief review. These scenarios are “tightly coupled” around the concept of retest and regenerate. “The term retest and regenerate was first coined to describe the common and repetitive situation where a swing point is broken and a suspect trend created (volume does not expand on the break). In the ebb and flow that accompanies most markets and stocks, it is overwhelmingly probable that when a stock breaks out under such conditions it will, after some period of time, retrace back to the area where it broke out to retest.” (p. 115) It is turns out that this is true not only of suspect trends but of confirmed trends as well. The author has done extensive work to assign probabilities of failure to each of these scenarios. For example, the probability that a confirmed bullish trend will fail when a retest and regenerate sequence occurs within six bars of the breakout is 19.86%. For a suspect bullish trend, the probability is 11.35%. Little provides trade entry decision ledgers for a range of scenarios. They are essentially checklists where, if a certain number of items is true, it is then appropriate to check the potential reward versus risk to make a final trading decision. Trend Trading Set-Ups is a clear testament to the principle that trading is simple (although not too simple) but not easy. I don’t know what a good trader’s track record would be following Little’s method. I can say, however, that it’s a thoughtful, plausible approach to trading. And I don’t say that too often. The election season is nearing its end and the candidates are making their last ditch efforts to sway voters. Which means, among other things, that it’s time for another look at how the presidential cycle influences stock prices. The Stock Trader’s Almanac (Wiley, 2013), edited by Jeffrey A. Hirsch and Yale Hirsch and now in its 46th annual edition, is the premiere source of this information. A spiral-bound hardcover, the almanac includes a calendar section, a directory of trading patterns and databank, and a strategy planning and record section. The calendar section has on facing pages historical data on market performance (verso) and a week’s worth of calendar entries (recto). January’s verso pages, for example, give the month’s vital statistics, January’s first five days as an early warning system, the January barometer (which has had only seven significant errors in 62 years), and the January barometer in graphic form. Each trading day’s entry on the recto pages includes the probability, based on a 21-year lookback period, that the Dow, S&P, and Nasdaq will rise. Particularly favorable days (based on the performance of the S&P) are flagged with a bull icon; particularly unfavorable trading days get a bear icon. A witch icon appears on options expiration days. At the bottom of each entry is an apt quotation. There’s about a five-square-inch space in which to write. Traders and active investors who thrive on historical data will once again have a heyday with this almanac. Take, for instance, the notion of the super-8 days. “The market currently exhibits greater bullish bias from the last three trading days of the previous month through the first two days of the current month, and now shows significant bullishness during the middle three trading days, 9 to 11, due to 401(k) cash inflows.” (p. 88) In 2011 the super-8 day returns totaled 13.93%, the rest of the month (13 days) saw a total loss of 5.68%. The promotional blurb describes the Stock Trader’s Almanac as “the ultimate desktop market data bank.” I never consider anything ultimate, but this almanac comes pretty darned close. And that’s praise from someone who tends not to pay very much attention to seasonals. For those who follow this blog because they like to read, here's an enjoyable piece from the WSJ: My 6,128 Favorite Books by Joe Queenan. Investors who are thinking about handing over a portion of their assets to a hedge fund manager are often at a loss about where to turn. Some of the legendary funds have either closed or are not accepting new outside money. A lot of funds are underperforming duds. A few are frauds. New funds that often outperform are unknown quantities. What is an individual investor (admittedly, one with a fair amount of time on his hands) or a professional responsible for allocating institutional money to do? For starters, he can read Frank J. Travers’s Hedge Fund Analysis: An In-Depth Guide to Evaluating Return Potential and Assessing Risks (Wiley, 2012) and learn how to become his own due diligence analyst. The first step is to troll through hedge fund databases, some available at no cost, screening for potential candidates. Let’s say you want an equity long/short fund in the U.S. with a minimum three-year track record, annualized return in the top quartile of its peers, minimum assets under management of $250 million, and reasonable liquidity terms. You can narrow the field substantially with just these parameters. Making some qualitative judgments here and there, let’s assume that you manage to whittle the funds down to just five for further review. Your real work is about to begin as you evaluate which fund is the best fit with your total portfolio of investments. Travers chooses one of these funds, which he dubs Fictional Capital Management, as his case study. He analyzes it from start to finish, including mock interviews with key investment personnel and an operational review. The analysis is exhaustive. In fact, the book is so detailed that I’m sure even the least astute analyst could successfully use it as a complete cheat sheet (or, the less tainted word, template) in performing his own due diligence. Travers has performed a real service for anyone who is trying to find the right hedge fund to add to his portfolio. Back when I took high school physics, a course taught by a thoroughly uninspired and uninspiring man whose name I have mercifully forgotten, a group of guys (who I suspect went on to become TV repairmen) and I had a pact. I would do their math homework and they would do my “hands-on” projects, especially those involving electrical circuitry. Left to my own devices I would undoubtedly have sent sparks flying in all directions. Fast forward. Here I am with Paul J. Nahin’s book The Logician and the Engineer: How George Boole and Claude Shannon Created the Information Age (Princeton University Press, 2012). The author promises that no knowledge of electronics is required, just an understanding of polarity, Ohm’s law for resistors, and the circuit laws of Kirchhoff. “No more than a technically minded college-prep high school junior or senior would have.” Well, that stirred up a lot of bad memories. So, rather than pretend that I relish looking at wiring diagrams I decided on a different tack. Motivated by a book I recently finished but cannot review for a while (Mastery), I thought it might be worthwhile to look at how Boole and Shannon, men from different centuries and very different backgrounds, came to be such remarkable thinkers. In today’s post I’m not drawing any conclusions, just presenting short biographies. George Boole was born in Lincoln, England, in 1815. His father was a cobbler who “seems to have been able to do anything well except his own business of managing the shop.” His real interests lay in mathematics and the construction of optical instruments, interests that he shared with George. Boole continued to teach at various day and boarding schools, all the while writing math papers, inspired perhaps by the establishment of a new math journal, the Cambridge Mathematical Journal. The editor of the journal, Duncan F. Gregory, gave Boole “almost incredibly generous aid,” without which “it is not unreasonable to imagine that Boole’s spirit would have been crushed right at the start.” Gregory published Boole’s early papers and then, when one was too elaborate for the Journal, recommended that Boole submit it to the Transactions of the Royal Society of London. This paper earned Boole a Royal Medal as the best mathematics paper published in the Transactions in the previous three years. At the age of 34, with no university degree, Boole was appointed professor of mathematics at Queen’s College (today’s University College), Cork, Ireland, where he spent the rest of his short life. He continued to publish and moved “from one honor and achievement to the next.” (p. 27) He died, presumably from pneumonia, shy of his fiftieth birthday. Claude Shannon was born in Michigan in 1916. His father was a business man and probate judge; his mother, a language teacher and high school principal. Early on Shannon displayed an interest in how things work; when he was in high school he earned pocket money by fixing radios at a local department store. He graduated from the University of Michigan with degrees in mathematics and electrical engineering and then, as a graduate student, got a job as a research assistant in MIT’s Department of Electrical Engineering to work part-time on Vannevar Bush’s differential analyzer, the world’s most advanced analog computer. In 1958 Shannon left Bell Labs to go back to MIT. There he became interested in portfolio theory and, as William Poundstone described in Fortune’s Formula, became wealthy by applying his ideas to his personal finances. Unfortunately Shannon was eventually afflicted with Alzheimer’s disease and spent the last seven years of his life in a nursing home. Enter Cliff Wachtel’s The Sensible Guide to Forex: Safer, Smarter Ways to Survive and Prosper from the Start (Wiley, 2012). It is a beginner’s book, written for those who never participated in the glory days of carry when “the FX market had the luxury of a clear framework for understanding and trading currencies, “ a time when, if you got your interest rate calls right, you were basically home free. Wachtel offers a different kind of framework, one centered on trader psychology and what the author calls RAMM (risk and money management). He complements these key elements with technical analysis and a smattering of fundamental analysis. Although this framework is certainly not unique to forex, Wachtel explains at length how it can help an investor identify, execute, and manage simple, low-risk, high-yield, longer-term FX trades. Wachtel breaks little new ground in this book, but he offers a solid, far-reaching course in trading. Beginners will learn a great deal (even though, if they have little experience in the markets, they will have to stretch to grasp everything). For those who have yet to trade profitably the book may serve as a useful refresher course. Even investors who think that “trading” is a four-letter word will discover how to use currencies to diversify their portfolios and to ride long-term forex trends for lower risk, higher income. A host of publishers have banded together to lend digital galleys of forthcoming books to qualified reviewers. I have already taken advantage of this service to bring you reviews of the following titles: Who Stole the American Dream?, The Power of Habit, Makers, and Practice Perfect. Among the coming attractions are The Logician and the Engineer (How George Boole and Claude Shannon Created the Information Age), Mastery, and The Secret Financial Life of Food. I don’t review a book before its official publication date, so not all of the coming attractions are imminent. This venture is a win-win for both publishers and readers. Since publishers don’t have to ship hard copies, they are more generous with their new releases. It gives them greater exposure for presumably much less money. And it means I can review books I think would (or should) be interesting to traders and investors even though few have financial keywords in their titles. Naturally, it’s more work for me since I will also keep up my reviews of financial titles, but I like expanding my horizons and I trust you do as well. I promise no Harlequin romances. Singer, who is on the right on the political spectrum, subscribes to Thomas Paine’s advice that “that government is best that governs least.” As a result, he sometimes ascribes to Congress more damaging power than it probably has. For instance, he argues that “the proximate cause of the Crash of 1987 was the inexplicably casual trial balloon of eliminating interest deductions for junk bonds if they were used for acquisitions.” (p. 38) Well, perhaps, and I certainly can’t take the other side of the argument, but on the surface the claim seems a bit exaggerated. Congressmen become rich even as their constituents’ equity portfolios languish. So how can you dodge Congress’s bullets? One obvious way is to hold some S&P 500 analog on the days when Congress is out of session and be in cash otherwise. 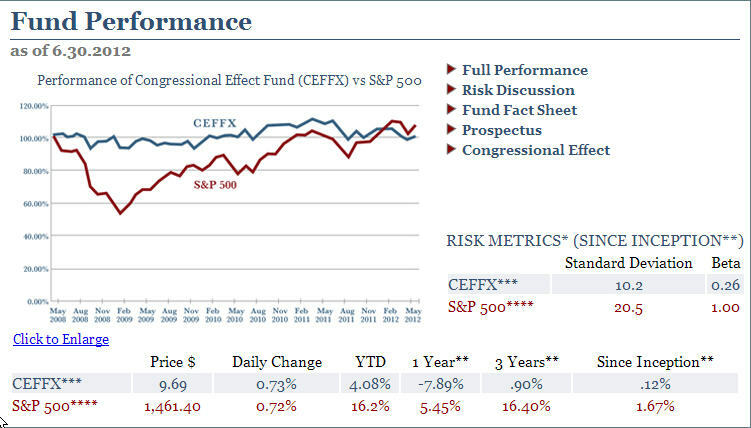 Singer manages the Congressional Effect Fund, which has slightly underperformed the S&P 500 since its inception in 2008 but with much less volatility. Among the highlights of this book are data on the election cycle and lame duck sessions as well as an analysis of Congress’s approach to behavioral finance. Trading the Congressional Effect is a timely, provocative book. It also illustrates how difficult it is to capitalize on a clearly defined trading edge. Although the authors of Practice Perfect: 42 Rules for Getting Better at Getting Better (Jossey-Bass/Wiley, 2012)-- Doug Lemov, Erica Woolway, and Katie Yezzi—are teachers and focus on how to coach teachers to do a better job, the book has lessons for everyone who wants to coach himself to improve his game. Okay, we should drill. The trader could, for instance, practice the physical act of trade entry (and drill in a variety of conditions—entering via a limit order or a buy stop, reacting to a partial fill, canceling a trade) until he can do it quickly and virtually automatically, preferably without a fat finger. It makes no sense to spend an inordinate amount of time figuring out entry rules only to stumble when actually placing the trade. Even algo traders need to know how to override their systems manually. It is important to practice getting simple things right before adding complexity; that is, we want to encode success. As the authors write, “failure builds character better than it builds skills.” (p. 251) And we should spend most of our time on the skills that matter most—the old 80-20 rule (spend 80% of your time practicing the 20% of skills that are most important). Through practice people develop “’economical rote algorithms’ so that ‘in the heat of battle the right maneuvers will come automatically.’ Consider hitting a baseball. It takes about 0.4 seconds for a serious fastball to reach the plate. ‘Conscious awareness takes longer than that: about half a second,’ … so most batters are not consciously aware of the ball’s flight. … Success is based on habits the batter has built but cannot consciously manage in the moment when they are most needed.” (p. 34) Sounds a lot like Curtis Faith’s Trading from Your Gut, which I reviewed almost three years ago. Since it is geared to teachers, Practice Perfect is not essential reading for traders, but it contains some key lessons—among them, stop scrimmaging so much and start drilling. Once again, I’m offering readers of this blog an opportunity to get books that I’ve reviewed at cut-rate prices. Here’s the deal. I will sell the books on the first list for half the current official Amazon U.S. price plus the cost of domestic media mail—figure between $3 and $3.50 for a single title, less per book for multiple titles. (I’m willing to ship outside the U.S., but shipping charges can be prohibitive.) Books on the second list I’ll part with for a third of the Amazon price. If outside sellers on Amazon are offering new copies for less than that price, I’ll match them. Orders that total over $100, excluding shipping, will be eligible for an additional 10% discount. As I’ve written many times before, the books are officially used because, yes, I read them. But I have one of the tiniest “book footprints” on the planet; my used books look better than most new books at the local bookstore. No dog ears, no coffee—or, in my case, tea—stains, no visible fingerprints. If you would like to buy any of these books, please email me at readingthemarkets@gmail.com. My preferred method of payment is PayPal. I’ll fill “orders” on a first come, first served basis and I’ll update the list as I receive payment. Rahemtulla, Where in the World Should I Invest? Wagner, Trading ETFs, 2d ed.